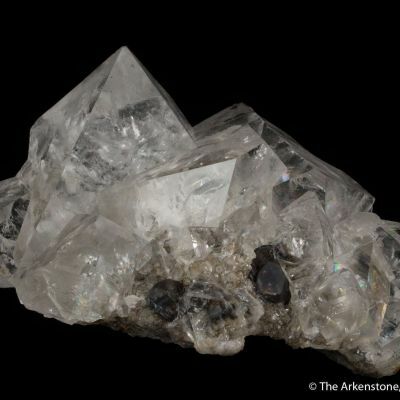 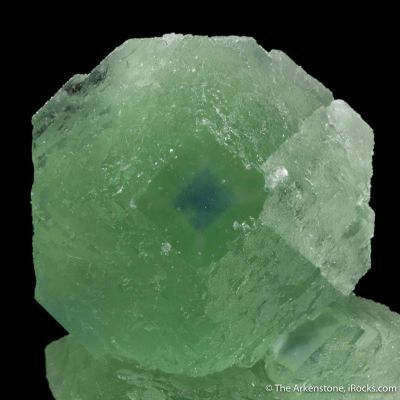 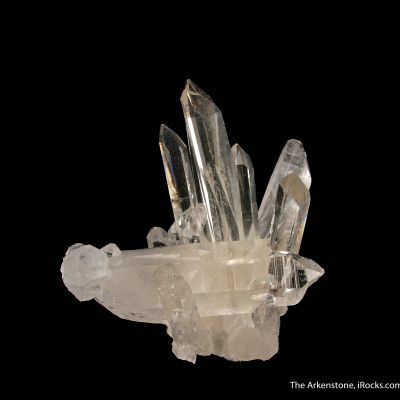 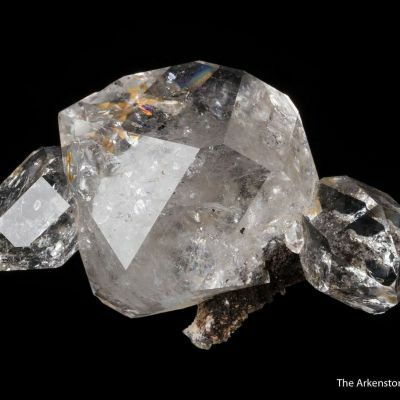 A deep green fluorite crystal cluster is perched on a thick crust of terminated milky quartz crystals. 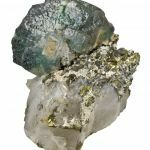 Between them is a layer of brassy yellow chalcopyrite crystals, to 9 mm across. 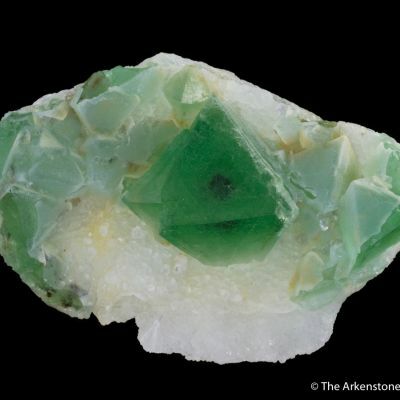 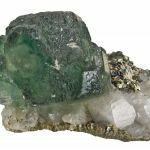 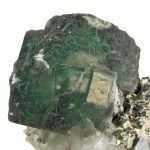 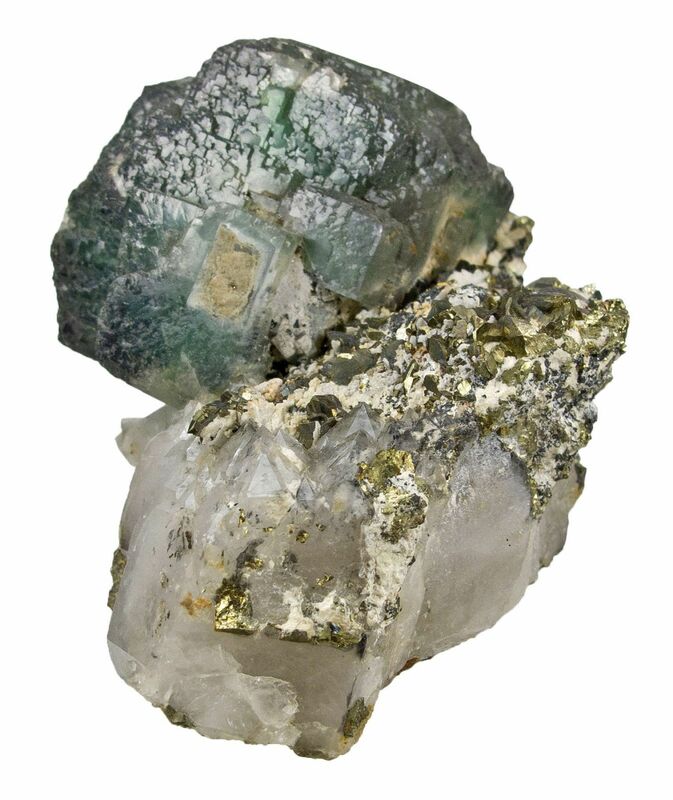 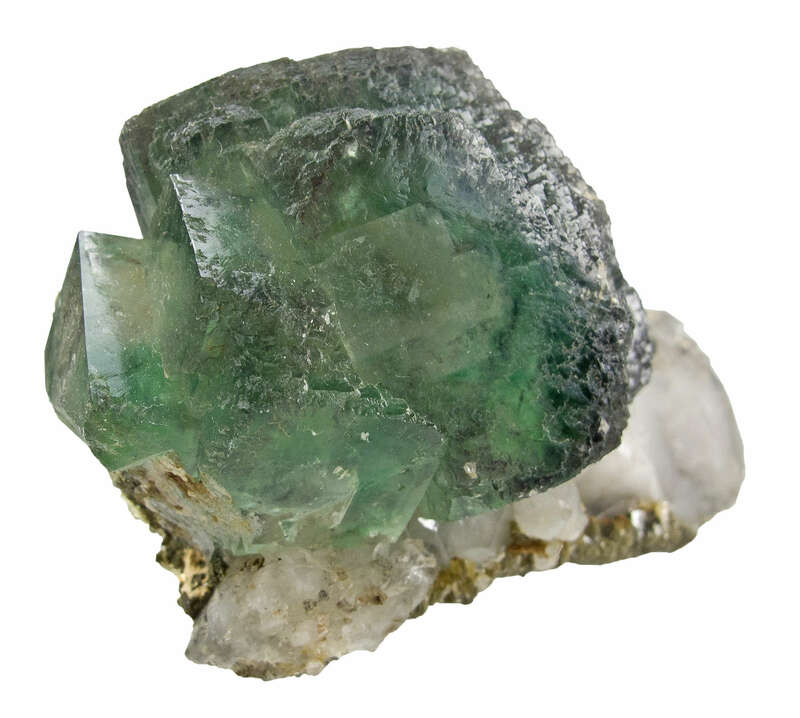 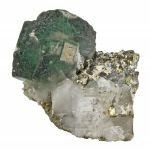 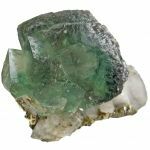 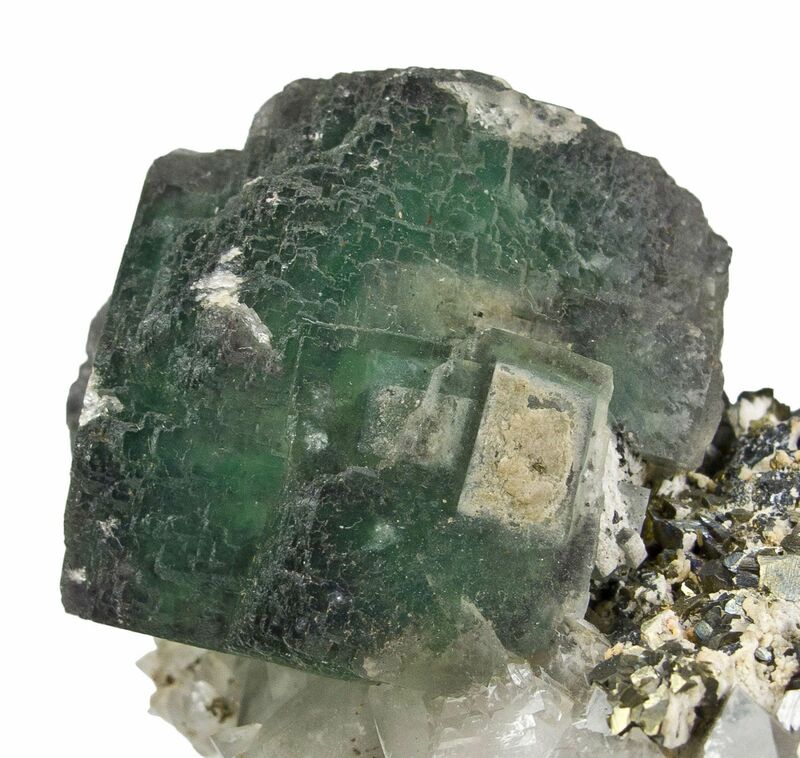 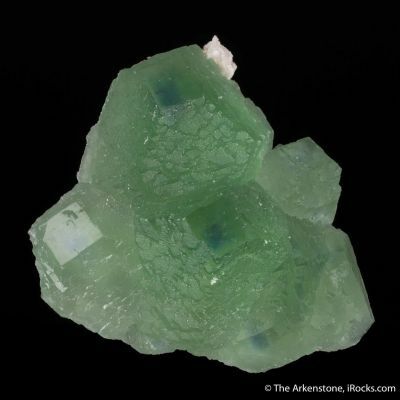 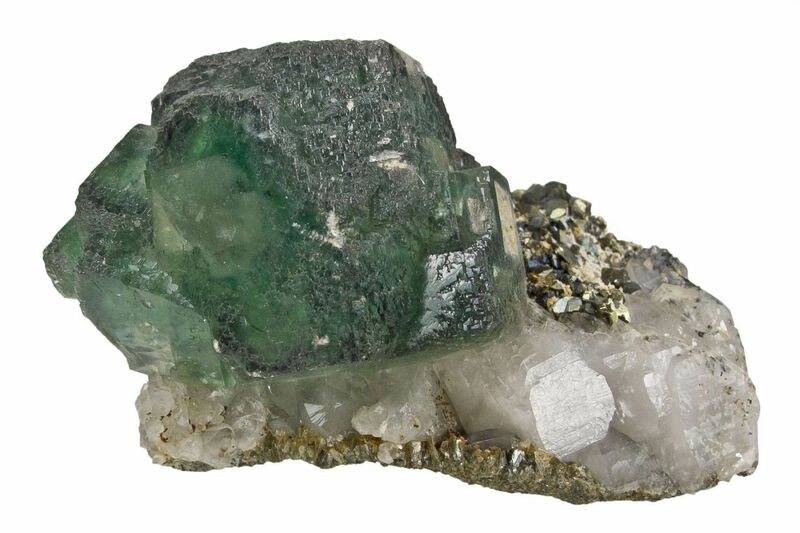 The fluorite crystals, to 3 cm, exhibit both pastel green and rich green colors that intermingle for a nice visual effect. 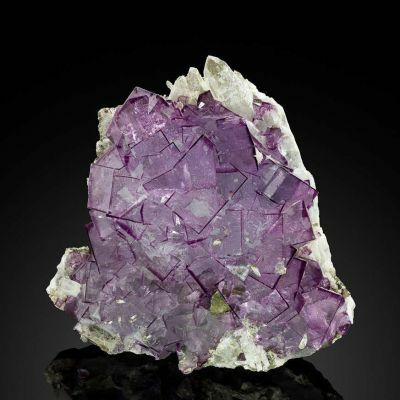 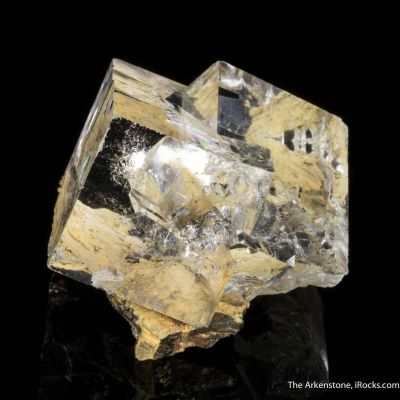 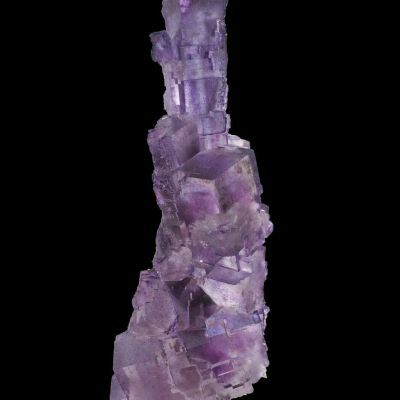 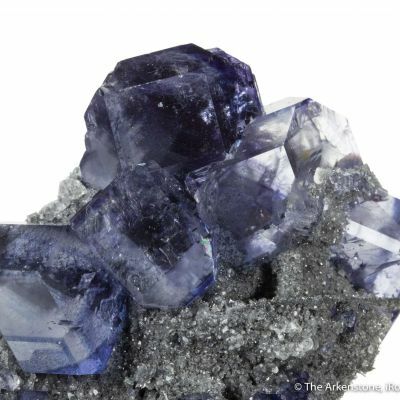 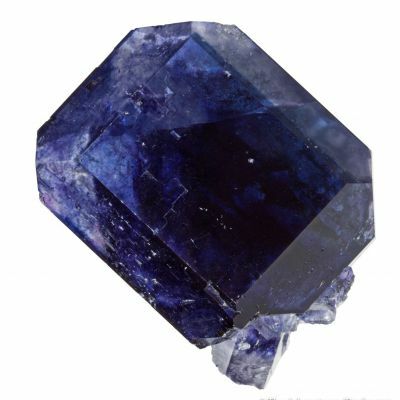 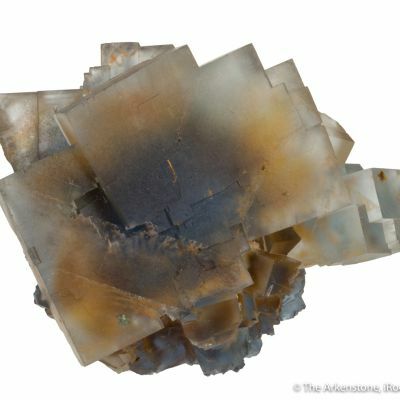 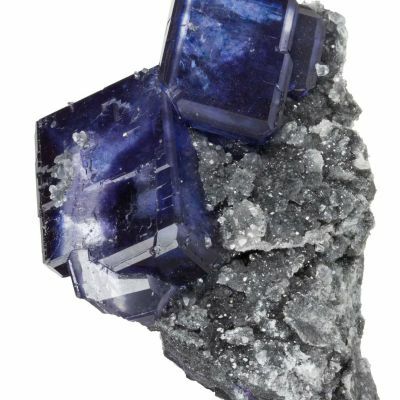 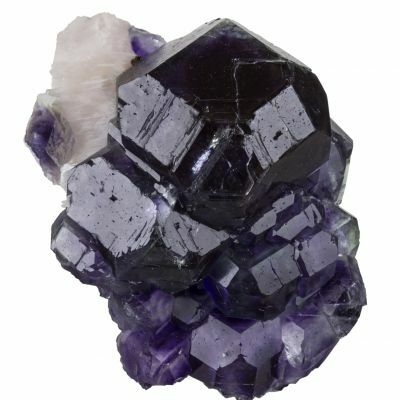 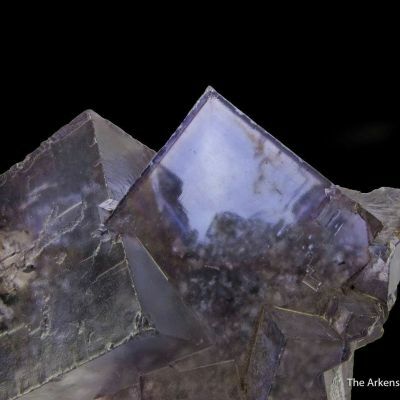 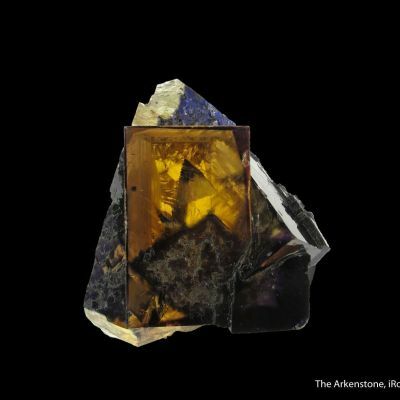 The fluorite crystals also exhibit classic stepped growth, for interest. 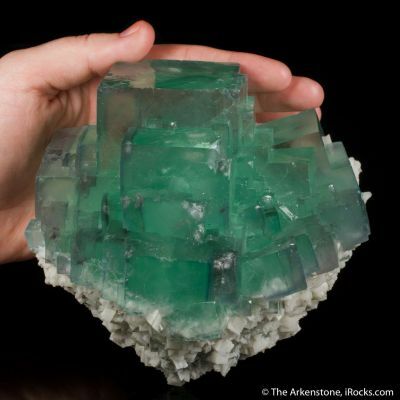 BETTER In PERSON, this is a very rich green evergreen color. 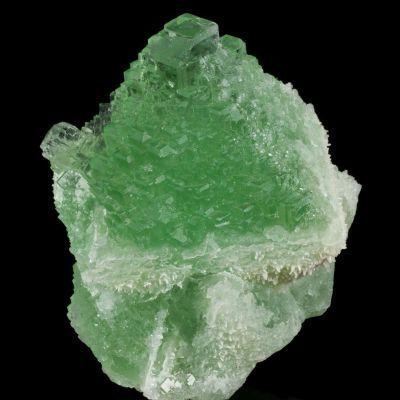 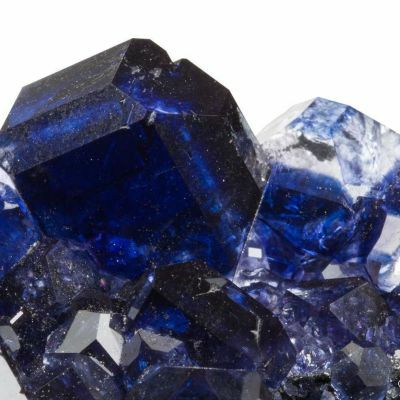 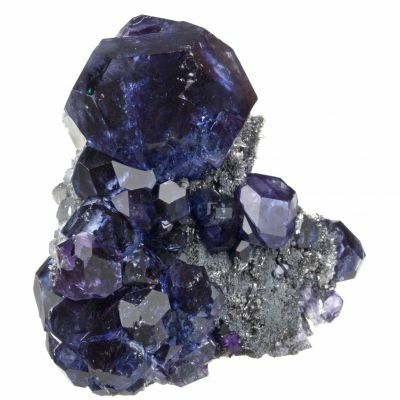 Collected 2005-5-16th, and from a prominent and carefully assembled collection of Jiangxi minerals with precise localities.